The Toronto Maple Leafs currently sit in 28th place in the NHL standings with an abysmal (2-7-2) record for a total of 6 points. Die-hard Leafs fans are furious over Leaf’s recent atrocious on-ice performance, however Leafs fans should understand that each loss guides the organization towards drafting franchise players who will return the historic franchise to the 1960 glory days. 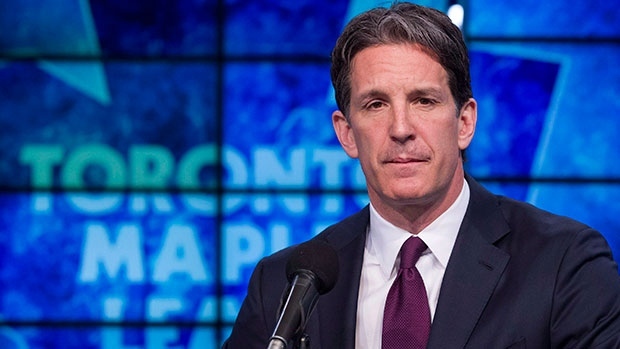 The first moves committed by the avaricious MLSE organization were the hirings of President Brendan Shanahan, General Manager Lou Lamoriello, and Head Coach Mike Babcock. Sure, the management team is only as good as the player’s on-ice performance, however assembling a management team with experience and winning backgrounds is sign of goodwill that maybe money isn’t the only thing MLSE is interested in. It’s no secret; successful teams build through the draft and only rely on free agency as a way of complementing their core pieces. Take for example the Chicago Blackhawks dynasty assembled by the legendary father-son duo of Stan and Scott Bowman. In the last 5 years their team has reached the Quarterfinals twice, Conference Championship once, and have been crowned Stanley Cup Champions twice. Prior to the Bowman dynasty, dark times loomed over the Blackhawks franchise that averaged 13,253 fans per game and finished at the bottom of the Western Conference on a yearly basis. In the 2003-04 NHL season, the Blackhawks finished last in the league with a (20-43-11) record good for a total of 59 points. Following the 2004-05 NHL lockout, the Blackhawks selected superstar Jonathon Toews with the third overall pick. A year later they selected Patrick Kane as the first overall pick. All-star defensemen Duncan Keith (54th overall) and Brent Seabrook (14th overall) were also top draft picks of the Blackhawks. Gutting a roster to the extent the leafs have done this past offseason takes a big stomach to tolerate, but if it results in the success the Chicago Blackhawks are experiencing recently, then I’m sure Leafs fans would be all for it. As for the Leafs, the arrival of respected Head Coach Mike Babcock has already began paying dividends. In each of the 2012-13, 2013-14, 2014-15 NHL seasons the Leafs’ shooting statistics ranked in the bottom 5. In the current 2015 season, the Leaf’s shooting statistics rank 5th best in the league. Furthermore, young franchise defenseman Morgan Rielly has produced 8 points in 11 games played and continues to evolve his defensive game. Nazem Kadri has added defense to his skill set, and now possesses a two-way style game, which is a crucial asset for todays elite centres, and to play in Babcock’s system. Babcock’s hockey knowledge and successes are rubbing off on the young guns, which will help establish a strong core of young players. The next couple of NHL seasons will be a struggle for Leafs fans, however enduring the pain of losing, which has become a norm, will provide the leafs with the chance of selecting top draft picks. The Leafs are slowly building their prospect pool with the likes of William Nylander, Mitch Marner, Kasperi Kapanen, Travis Dermott, Brandon Lepisic, Jeremy Bracco, Connor Brown, Zach Hyman, and Scott Harrington. Adding another top 5-draft pick this year could land the Leafs potential superstars in Auston Matthews, Jakob Chychrun, or Jesse Puljujarvi. Time will tell the fate of the leafs dreaded 48 year Stanley Cup drought, however the formation of an elite management team committed to the rebuilding processes, coupled with a growing prospect pool, and a desire boiling from MLSE to win a Stanley Cup will hopefully transform the Toronto Maple Leafs into the next NHL dynasty for some of the most passionate fans in the league. Do you think this painful rebuild will work? Comment Below! 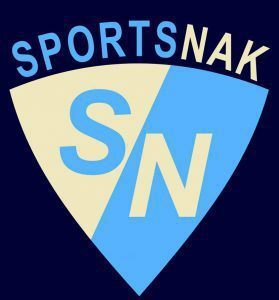 Follow SportsNak on Facebook and Twitter! Next Post NHL Award Predictions: After the First Month, Who’s in the Lead? No it won’t work. Look at the oilers they are stacked with draft picks and maybe only now have they turned the corner, Although with the mcdavid injury they’ve taken a step back too. It can’t get worse for the leafs so perhaps this is the bottom. This is the first year in the modern era that they don’t have a single star in their lineup. There is no sittler Gilmour sundin not even the locker room cancer in Phil kessel.